Hmmm....another little hint from the North Star Military Figures Facebook page. I haven’t managed much painting this year, mostly due to the general exhaustion of raising a baby. However, I have managed to stay active in the miniatures hobby. One way has been working on some terrain. I have a lot of leftover Hirst Arts blocks (from projects that were over-ambitious and never completed), so I have been using those blocks to make small, quick to finish, ruins. 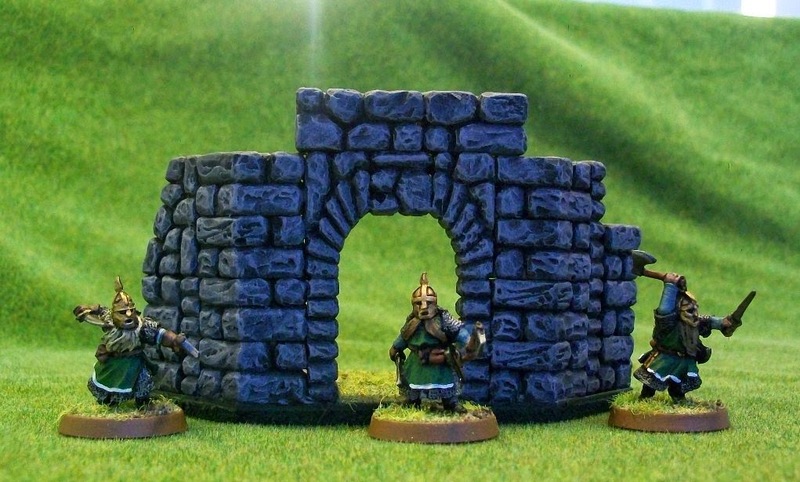 Here is my latest effort, a little ruined archway. 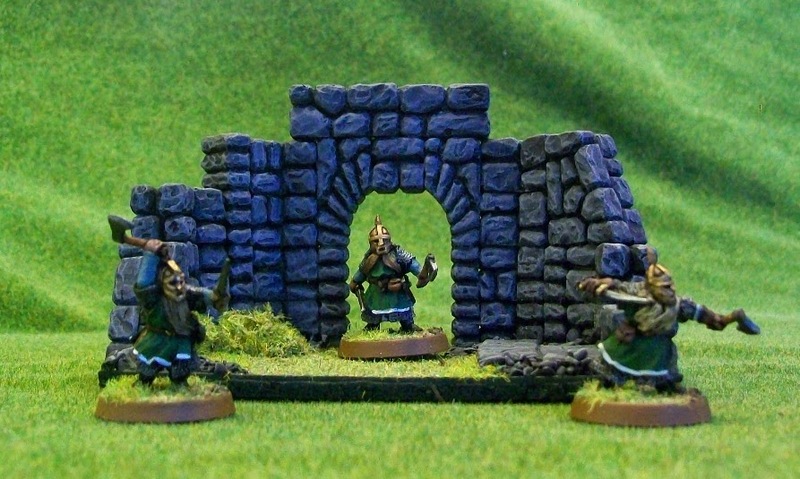 The Dwarves are from GWs Lord of the Rings range. I painted them last year as part of a little Dwarven expeditionary force I have slowly been working on and may one day even complete. While I was at home over Christmas, I dug through a few old boxes of miniatures I had in storage. For the most part, these were old, poorly painted, and generally unloved, and I will likely sell most of them off when I get around to it. However, I also found this little guy, which I’ve decided to keep. 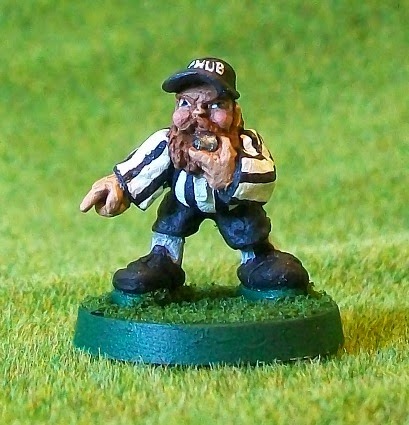 I don’t actually know what company he comes from, but regardless, he is obviously meant to be a referee for Blood Bowl (one of Games Workshop’s many wonderful, yet sadly abandoned, games). For a while, I puzzled over his hat, which reads ‘CHUB’. A day or so later, it came to be out of the blue. It stands for ‘Chapel Hill Underground Blood Bowl’. I guess there wasn’t room to paint the final ‘B’! I went to college at the University of North Carolina at Chapel Hill and spent most of my time at Cerebral Hobbies, a (sadly long-gone) gaming store that was in the basement of a small shopping complex. 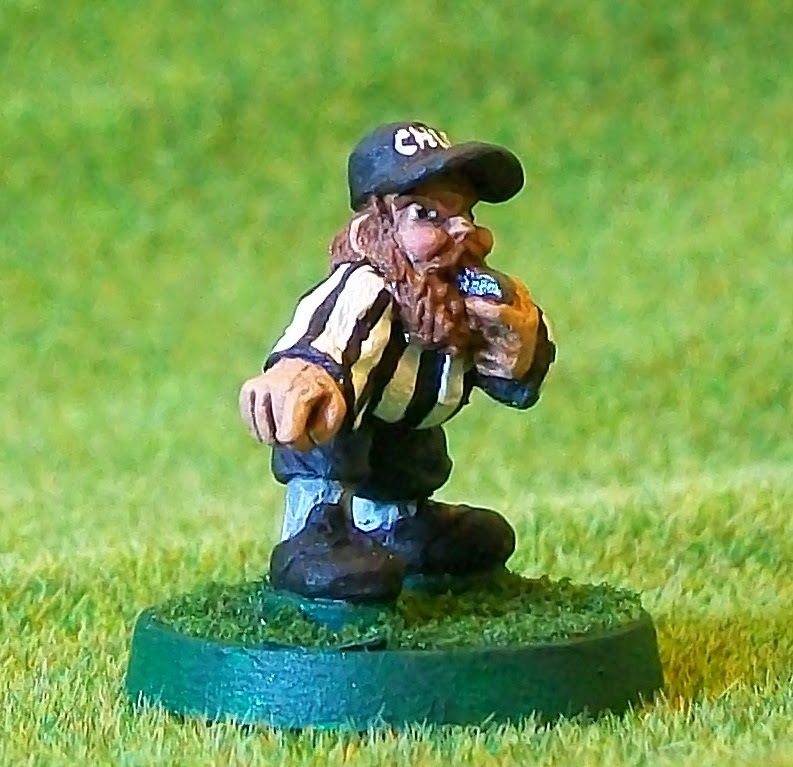 It was in Cerebral Hobbies I played in my one-and-only Blood Bowl league, ‘CHUBB’. Considering the miniature must be about 18 years old, I think the paint job is pretty good. I could have done a bit more with the basing, but how about those zebra stripes! Anyway, I’ll be keeping him now for sentimental reasons, not the strength of his paint job. I also found the miniature of my team’s star player, but that will have to wait for a future post. 'Winter is Coming'. What could it possibly mean??? 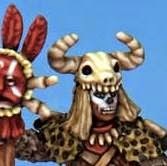 Is it just me, or does this guy look more than a little like the guy in the artwork on the top of Osprey Games Facebook page? 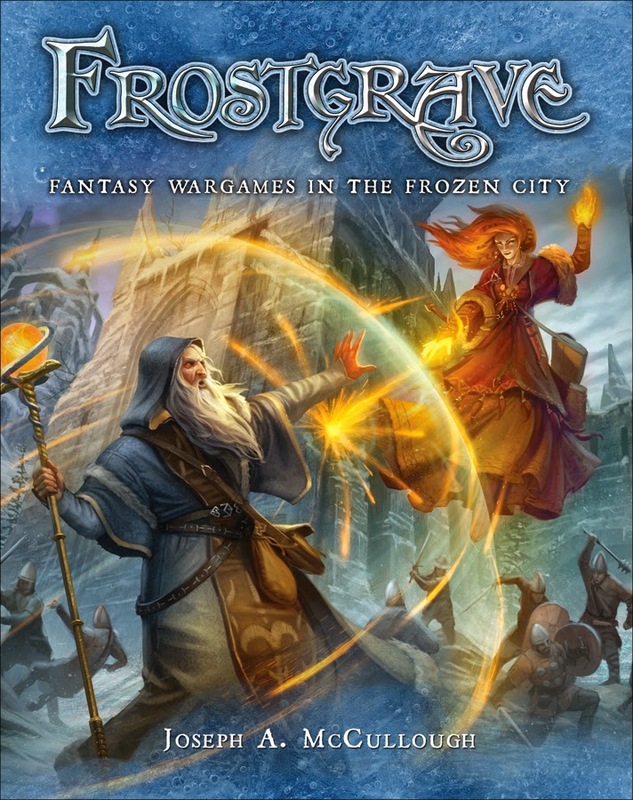 I know a lot of readers have started following this blog in the hopes of getting some information about Frostgrave, my fantasy, skirmish wargame, and I am sorry that I have not been more forthcoming. The truth is that there is currently a 'media-blackout' surrounding the game. There are lots of things going on behind the scenes, I'm just not allowed to talk about them. It's both exciting and very frustrating. This will apparently change in April, when the blackout will be lifted, and I will be free to post. In the meantime, I am able to show off the final cover of the book. (Click on it to see it large!) 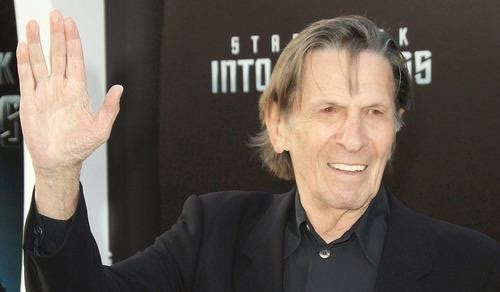 It is just slightly different from the one that has been circulating on the internet. I hope you guys like it. I think it is pretty cool and captures the essence of the game pretty well. 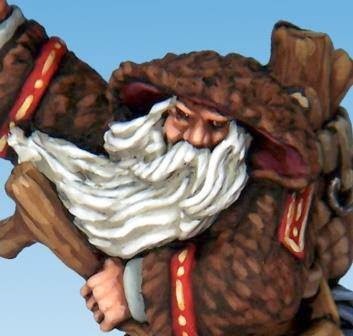 If you sent me an email regarding Frostgrave in the last couple of days and I have not responded, please email me again. I know I have lost one.